What is a CarFax Vehicle History Report? Thank you for allowing Florida Fine Cars the opportunity to assist you. It looks like you're interested in checking this vehicle's history. That is an excellent decision in becoming a smarter car shopper! Here are a few key points regarding your vehicle's CARFAX report to help ensure you make an educated decision on your next vehicle purchase. CARFAX Vehicle History products and services are based only on information supplied to them by purchasing this data from third-party sources. As such, CARFAX has never physically inspected any vehicle in person nor do they have the complete history of every vehicle. The CARFAX report should be used as one important tool, along with a vehicle inspection and test drive, to make a better decision about your next used car. Most people aren't aware that CARFAX reports are subject to change. CARFAX bases their reports on when information is reported. 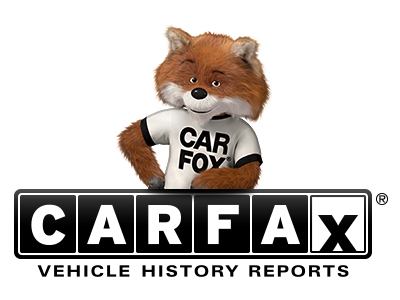 While data updates may be provided to CARFAX on a regular basis, the reports may not include very recent activity. We encourage our customers to have any vehicle they are interested in, inspected by an independent mechanic. We believe that this combined with a vehicle history report will help ensure that our customers make the best choice for them and also help in providing an educated decision when purchasing a used vehicle. There are many different tools that customers can utilize to help them learn about the condition of a vehicle. We provide a vehicle history report because we feel that our customers should be in the know and also value accessing this type of information about their vehicle of interest. The larger point here is that while a CARFAX report is a valuable tool in researching a vehicle; it should not be the end-all resource for decision making. Thank you for shopping at Florida Fine Cars for your next car purchase; you've made a great choice! I understand that a CarFax report is subject to change at any time without notice.